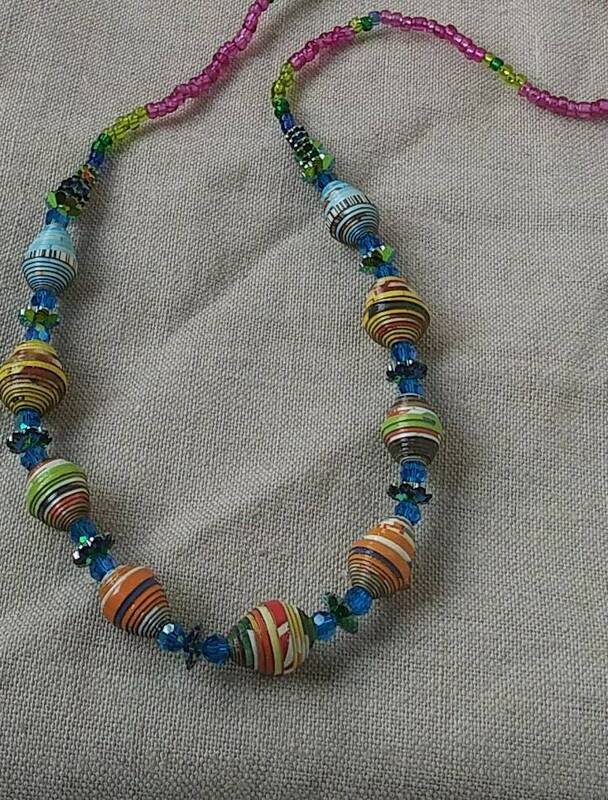 Wear it alone or layered with other fun pieces. 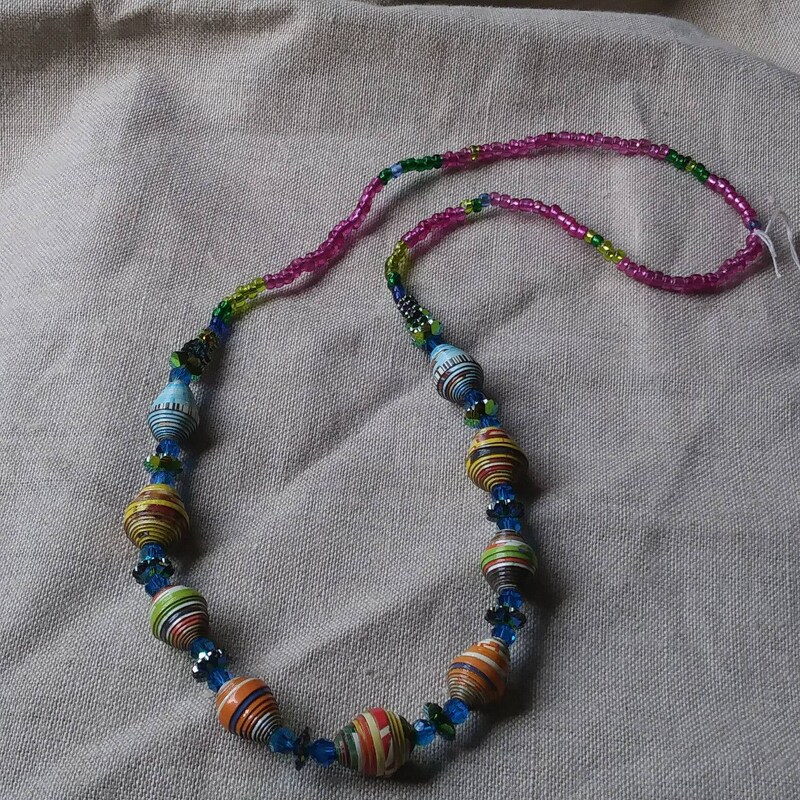 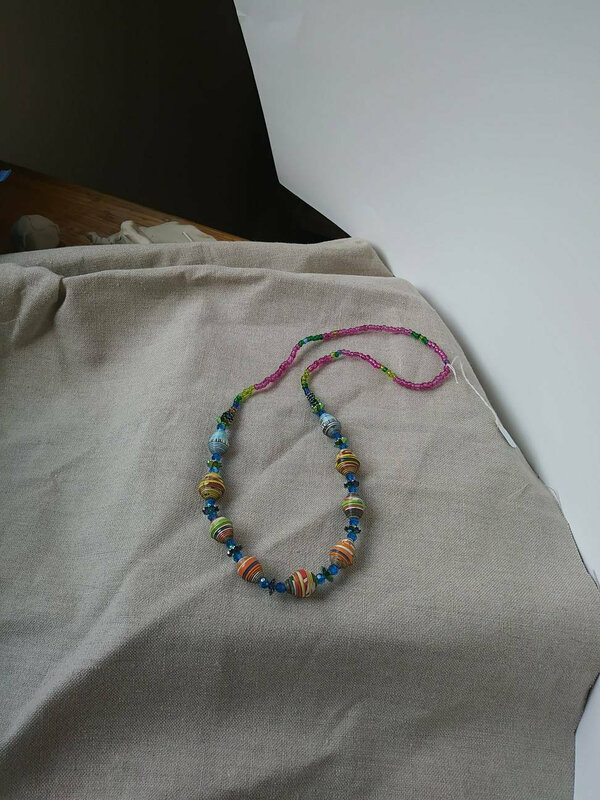 Made with a vast array of colors using Czech glass beads and handmade Haitian paper beads. 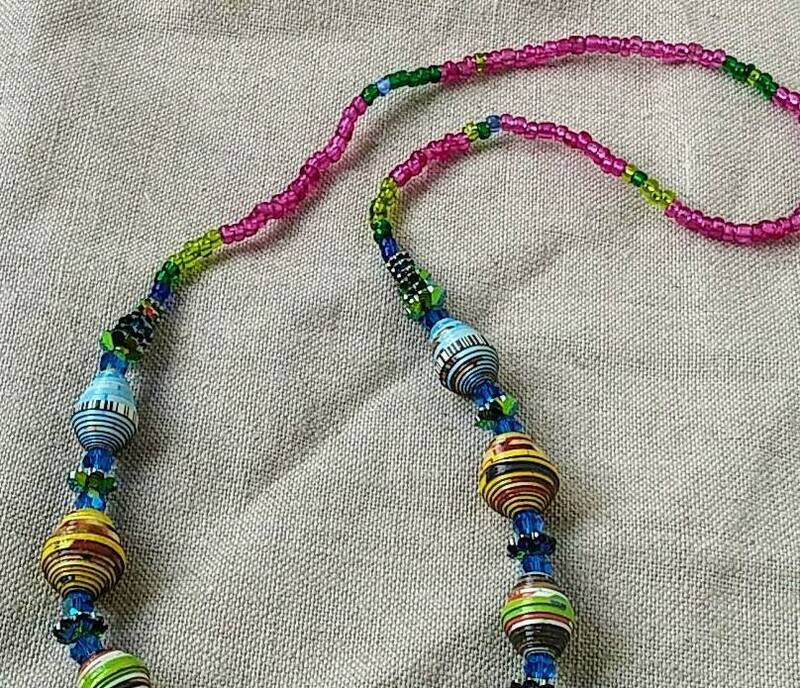 A touch of just about every color makes this a one of a kind piece. 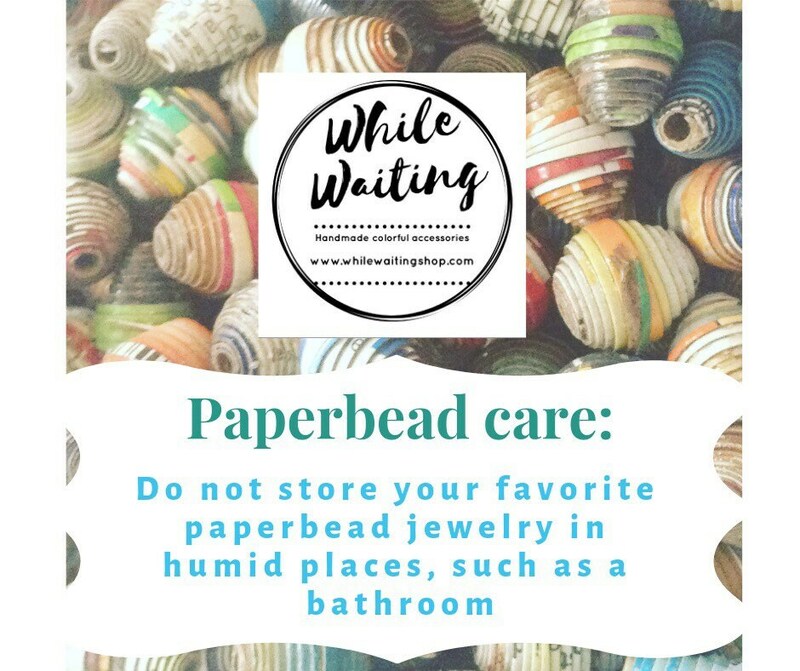 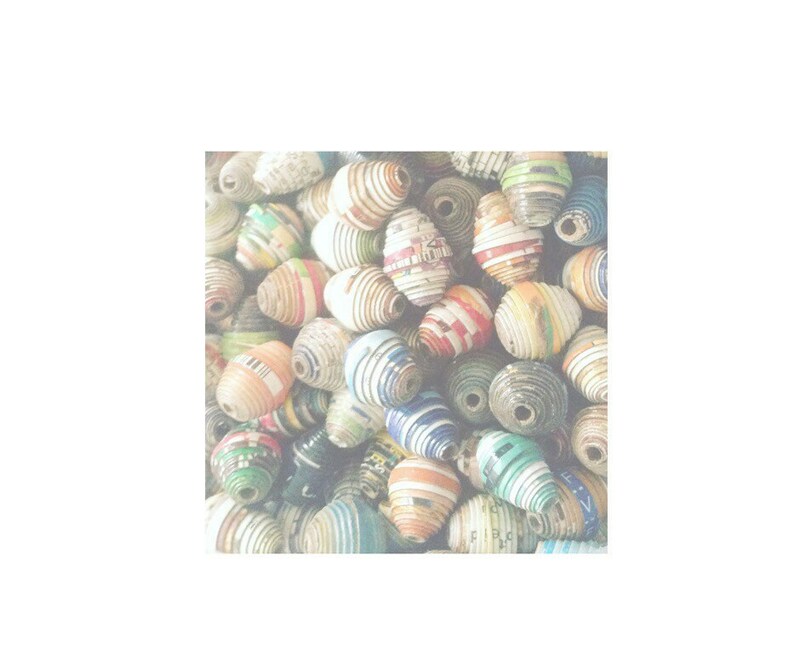 Paper beads shouldn't get wet.